We’ve had Ivan Cleary poached by the Panthers after cunningly throwing everyone off the scent by failing to poach him earlier in the year. We’ve had Wests Tigers announce their second long-term coach in as many years. We’ve had Manly introduce the revolutionary concept of having two head coaches. We’ve celebrated the annual referees’ boss sacking. There have been the increasingly frequent Knights fans taking offence to something Wayne Bennett said dilemma. There were probably some international games. A winger took out the Golden Boot without seeking Freddy Fittler’s approval. The new Fittler-approved NSW jersey threatened to disillusion recently re-illusioned fans. Fresh allegations against a popular headline-generating dreamer could disrupt the Knights’ recruiting strategy as well as many potential articles linking the unsigned star to all and sundry. Early releases were granted to Josh McGuire, Trent Merrin and potentially David Klemmer that are sure to bolster clubs that have media approval to be bolstered. There was the shocking/exciting release granted to Valentine Holmes to destroy the Sharks/follow his dream (depending on the flow of public sentiment). And a new threat of a mass player exodus brought on by the NFL has arisen, potentially as damaging as Union and AFL were before it. But here’s the thing, all these headlines have only served as a distraction from what is surely one of the most disturbing developments in recent memory, and I’m surprised the story isn’t getting more coverage. The fact is that the whole of the 2019 season is in danger of being completely derailed by two self-serving coaches threatening to not walk out on their contracts a year early. The very idea that a player or coach in this day and age would decide that honouring a contract is more important than upholding the universally accepted consensus so selflessly put forward by the media is frankly sickening. Do these so called professionals not understand how destabilising refusing to break a contract could be to a club? In a world where players have grown reliant on contracts acting mostly as suggestions, this unnecessary hard-line stance is sure to raise all sorts of uncomfortable questions from the playing group and may even adversely affect the recruitment strategies of each club going forward. If this harmful attitude spreads to other clubs, the consequences could be catastrophic. Worst of all, this whole mess could have been avoided completely had the Broncos themselves been more receptive of the heartfelt warnings and pleas from former players and the media itself. It was painfully obvious to anyone with half a brain (as well as pay per view panel members) that Kevin Walters was born to be the man to take the club to new heights, and there were innumerable recommendations for the man coming from his best mates and co-workers alike. It was with such humility and grace that ex-Broncos (and there were at least two of them) made their increasingly desperate pleas that they even ensured their names were replaced with “Broncos legend” in headlines so as not to detract from the matter at hand. Even Gordon Tallis was able to put aside his personal issues with Bennett and any perception of a conflict of interest due to his current media and Titans commitments to also let it be known that Bennett was bad and Kevie was good and warn of Bennett’s attempts to dismantle the club. 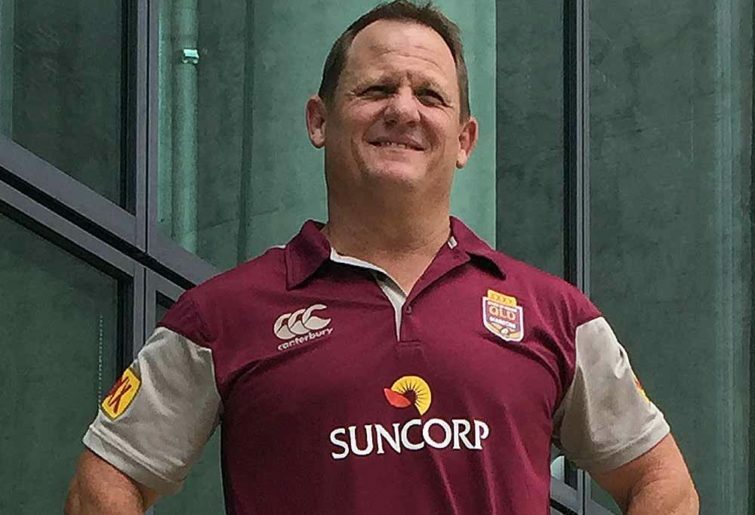 Yet, despite the invaluable service these selfless men provided less than 40 years ago and the overwhelming support the media in general had shown the Broncos throughout 2018, the club decided to dismiss these warnings and foolishly rely on their own interview processes and external experts brought in to test applicants’ aptitude for the role. In the end, all of Kevie’s history at the club not coaching and his envious record of taking Catalans up to 14th spot in the hardest league competition in the northern hemisphere in just two years counted for nothing as the Broncos decided to officially overlook the league legend and go for an unproven coach unable to even get his team into the top two in his first year in the NRL with a side that was widely tipped to play this year. And so we find ourselves here, with the prospect of the entire league collapsing upon itself thanks to the selfish actions of two coaches and a weak-minded board. Should the league manage to somehow survive this latest catastrophe, we can only pray that in future clubs will be much more receptive of the guidance provided by the selfless rugby league media.